1. Start by taking two squares, one light and one dark, and putting them right sides together. Do this with the other light and dark square. With your ruler and fabric marker, draw a diagonal line on both white squares from corner to corner. 2. Using the line as a guide, sew a 1/4” away from it on both sides. 3. 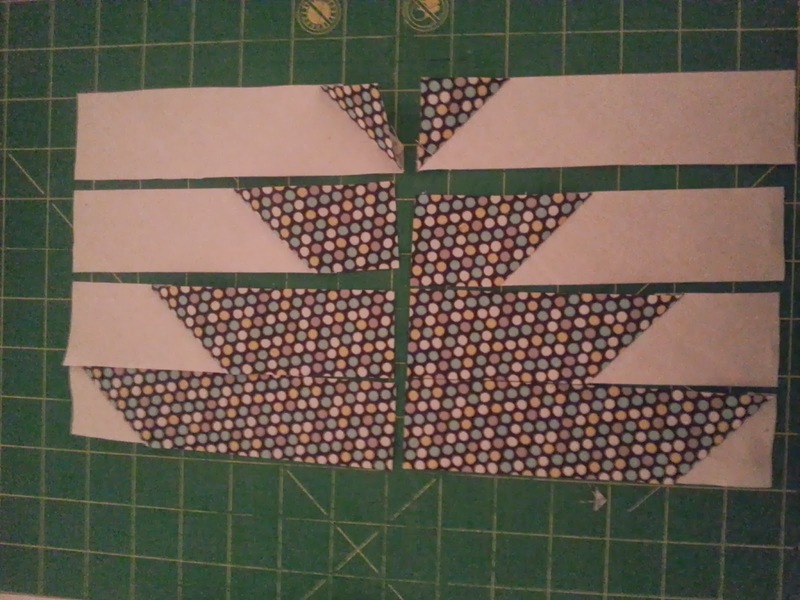 Then with your ruler and rotary cutter, slice through the two squares from corner to corner on the line you first drew. 4. 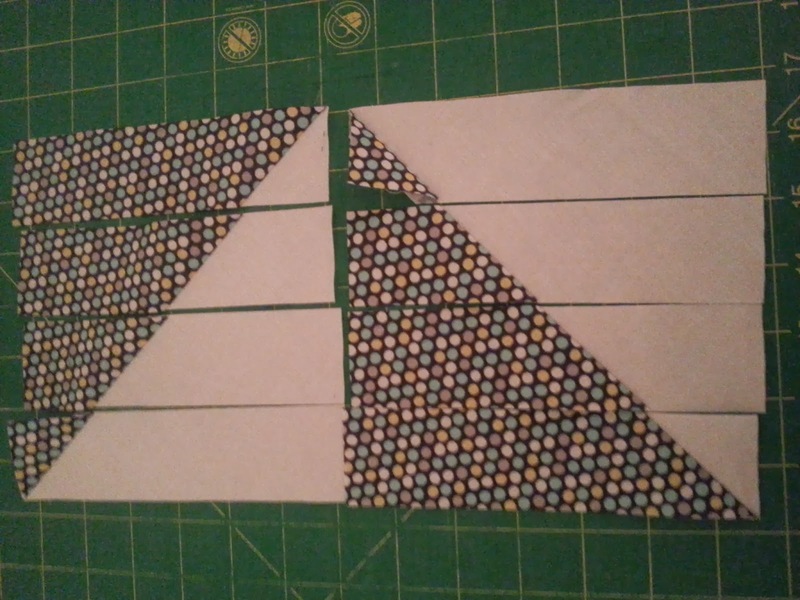 Repeat step 1-3 with the other squares until you get 4 HST (half square triangles). Trim your HST to 9” square. 5. When your squares are squared up, layer them one on top of the other, with the dark of the top triangle on top of the light of the bottom. This way you will be sure that you have one 'uphill' block and one 'downhill' block when you are done cutting. 6. 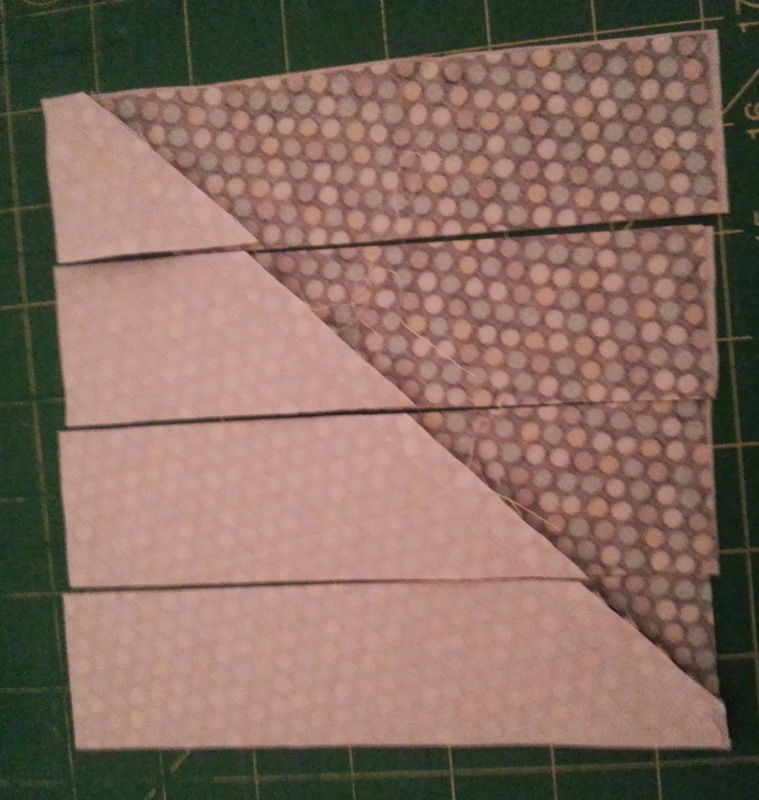 Cut the stacked units in half horizontally (4.5”) and then cut each half in half again so you have four 2.25” strips. 7. Carefully peel the top layer off the bottom layer and you will have uphill and downhill strips! 8. Simply rearrange the strips into the Modern Mountain blocks. 9. 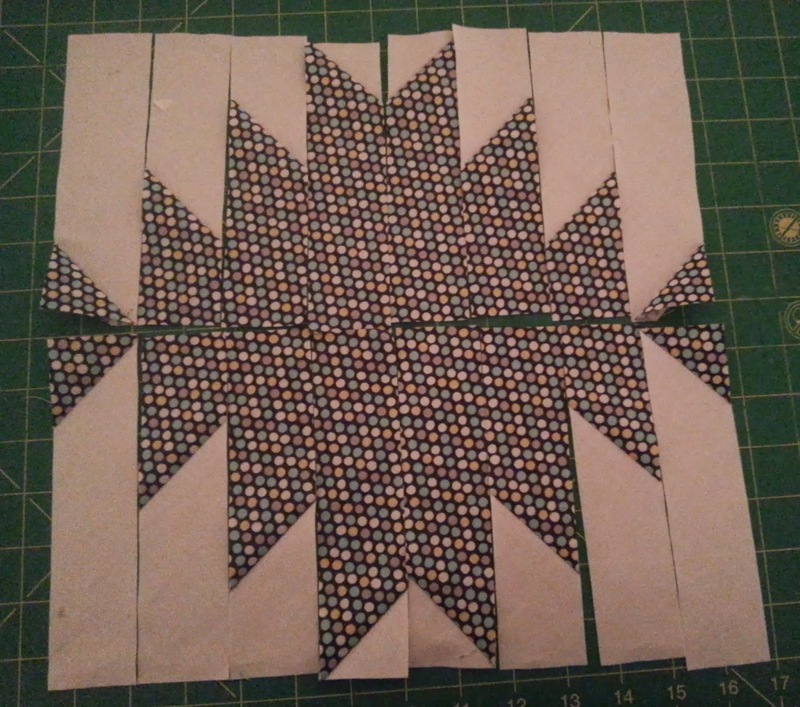 Stitch each quadrant together so you end up with four mini-blocks, then sew the block together. Bring your completed block to the February 20th meeting and exchange each block for one lottery ticket. What is the finished size supposed to be? The block you bring in is 14.5x17.5 (ie, unfinished). Have fun!